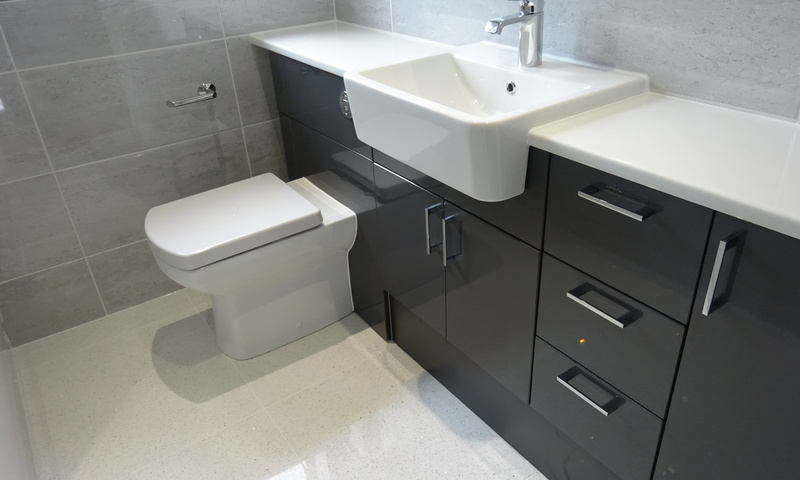 Earlsdon Bathrooms specialise in designing bathrooms to correctly fit and function within the limited spaces bathrooms come in. Working with high quality bathroom products and bathroom suites that come with a 10 year and 25 year manufactures guarantee as standard. 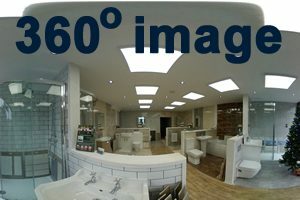 Bathroom renovation carried out to highest standards, fitted by professional experienced bathroom fitters with all work guaranteed in writing. We supply and fit quality bathroom, shower room, mobility and ensuite bathrooms. Offering a complete one stop solution from bathroom design, to supplying the bathroom products and tiles and finally fitting, plumbing, electrical work and tiling the bathroom. 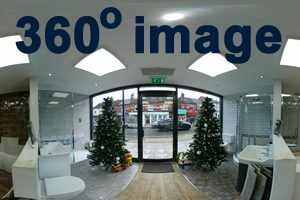 View a range of complete solutions and ideas at our Bathroom showroom on the Earlsdon High street in Coventry. 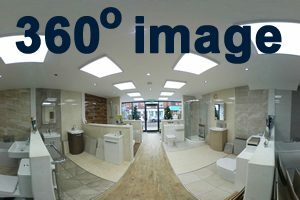 Take a look around the Earlsdon Bathrooms showroom. 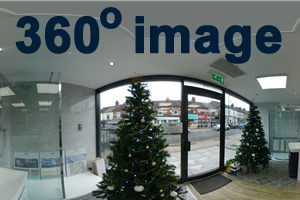 The images below are 360 degree images taken from inside our Showroom 360 degree images. 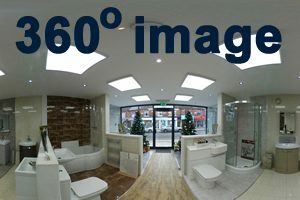 Click on any of the images and take a look around our bathroom showroom.